Everyone has at least one horrible online dating story. 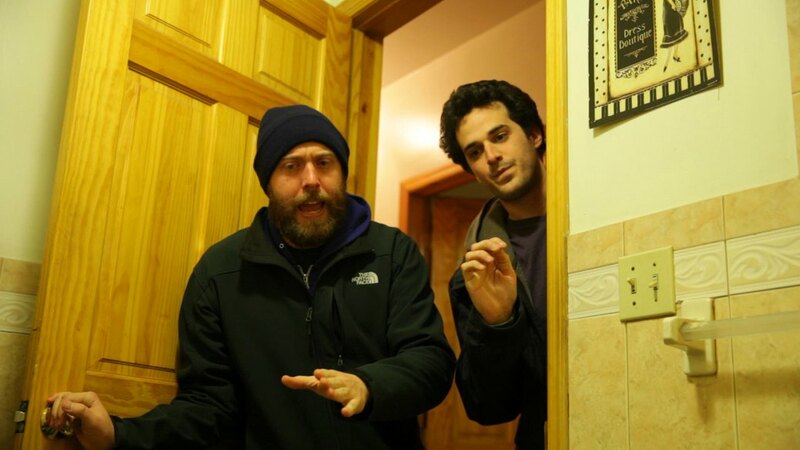 Well, Bushwick and East Williamsburg-based writing trio Jared Warner, Tim Dean and Nick Ciavarella have so many they created an entire web series, Jared Posts a Personal (JPAP). The six, six-minute episodes feature guest actors, including Ilana Glazer, Francesca Ramsey, Amber Nelson, as well as some of Bushwick and Williamsburg’s beloved bars, like Cain’s Tavern. The series begins when Jared, played by Warner, returns from a bad, non-date and Nick encourages him to join OKCupid-knock-off Alrighty Aphrodite. From there, it’s just one hilariously bad date after another, like the unexpected psycho killer and the girl who is just never going to sleep with you no matter how much she drinks. “The original premise was that [the main character Jared] sets up an online dating profile and each episode would be an internet date that his friends Nick and Tim would promptly ruin - or that Jared would ruin through his own fumblyness,” Warner explained. The trio began writing the pilot episode last May at Zablozki’s in Williamsburg, with what the guys described as a “throwaway idea.” But the more they tossed around the idea, the more they liked it. In the year that followed the guys wrote, acted in and shot six episodes with director/editor Adam Wirtz, comprising the first season. DailyMotion premiered the pilot episode at this year’s South By South West in Austin, Texas, and collectively the series has received more than 20,000 views on DailyMotion alone. You can also find the show on YouTube. The guys are now working on a second season after co-raising $2,000 with the writers from web series Girls Are Roommates. 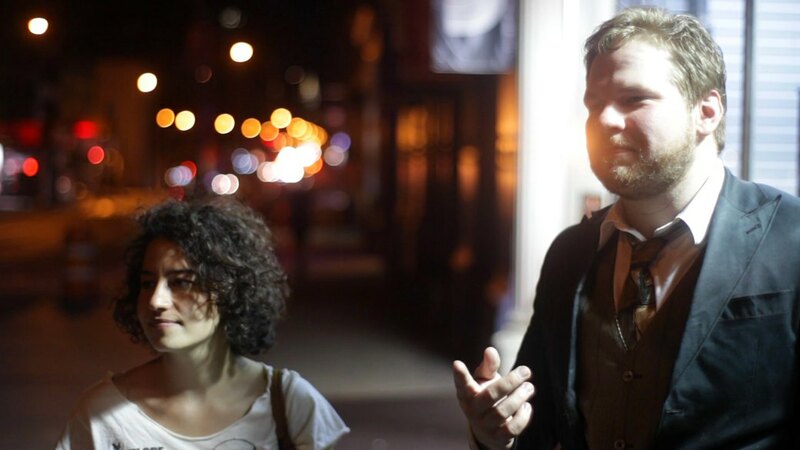 Jared Warner and guest star Ilana Glazer in the season finale episode. Film still by director Adam Wirtz. Ciavarella said they take comedic inspiration from shows like FX’s Louie, NBC’s Parks & Recreation and Fox’s New Girl, as well as their own bad date experiences and imaginations. 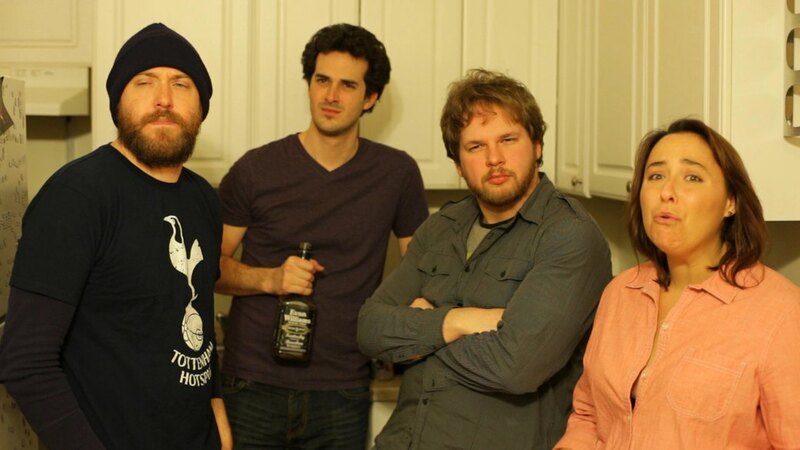 The guys first met in college in Florida where they were all part of comedy improv troop Murderfist. For the second season, the men plan to have a thread tying the different episodes together, while the episodes will still be able to stand alone. “All the episodes in the first season are very different because we wrote them at different times, which was fun and brings a cool flavor to the series, but for the second season we’re hoping to have an arc,” Warner said. Look out for season two of Jared Posts a Personal in July and feel better about your own bad dates. Tim Dean and Nick Ciavarella in episode 4 - The Long Night.